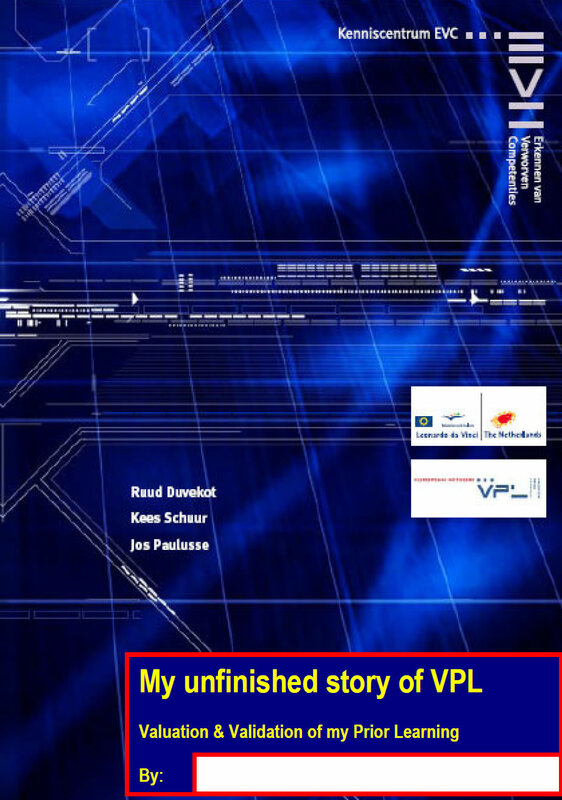 In this booklet, a general process model in 10 steps is proposed for the use of VPL by individuals, in spite of their characteristics or objectives. It is the intention to initiate a discussion and develop a consciousness at the level of the individual. It is crucial to understand that this model indicates a way to adapt the VPL-process to the goals and needs of the individual, in spite of the area (private life, voluntary work, paid work, education) where the competences have been developed or will be applied and irrespectively the way the learning and the recognition takes place (formal, non-formal and informal). People invest in many ways in themselves, often without knowing and being recognised by themselves and by others. VPL (Valuation of Prior Learning) offers the possibility to increase the advantages of these investments. Essential of VPL is to recognise that learning not only happens in formal education, but that also other learning environments and contexts are and that there are many different ways to learn. Secondly VPL clears the way for measure development of the individual in all kinds of organisations. It is of crucial importance to understand that VPL only can lead to full development if the individual knows how and can show his / her competences, if organisations have a clear view over and real perspectives for their human capital of competences and if the system supports this competence market for all formal and informal groups in which the individual is participating. This article demonstrates that each individual and organisation should use the opportunities of VPL. People learn and develop their competences always, everywhere, so why not make use of it?